Put in the work over winter break and attend some of our tumbling clinics! Bring your friends and experience specialized classes designed to work and perfect the skills in each session. All are welcome and the backhandspring class is PERFECT for someone wanting to see what tumbling at Pittsburgh Superstars is all about! Questions? 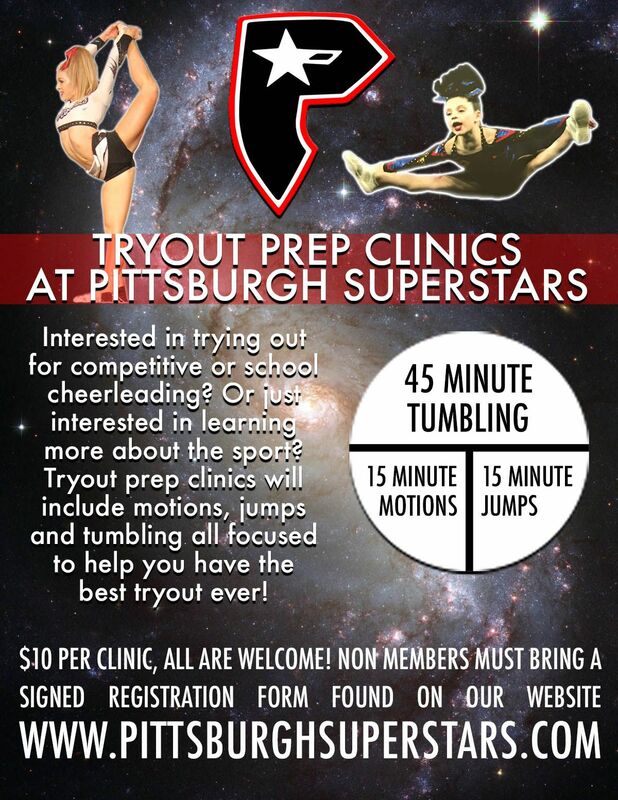 Email Dana at dana@pittsburghsuperstars.com with any questions or to register. Current members please register via iClass Pro. In this program, we will be teaching basic tumbling, body awareness, coordination, and locomotor skills. We have an excited staff and fun themes and we can't wait for you to join us! $30 for one 2 hour session. $50 for two of the same sessions in one weekend! Pre register on iClass Pro or by emailing dana@pittsburghsuperstars.com All are welcome to attend, bring your friends! Non members must bring a signed registration form. Email Coach Dana with any questions. 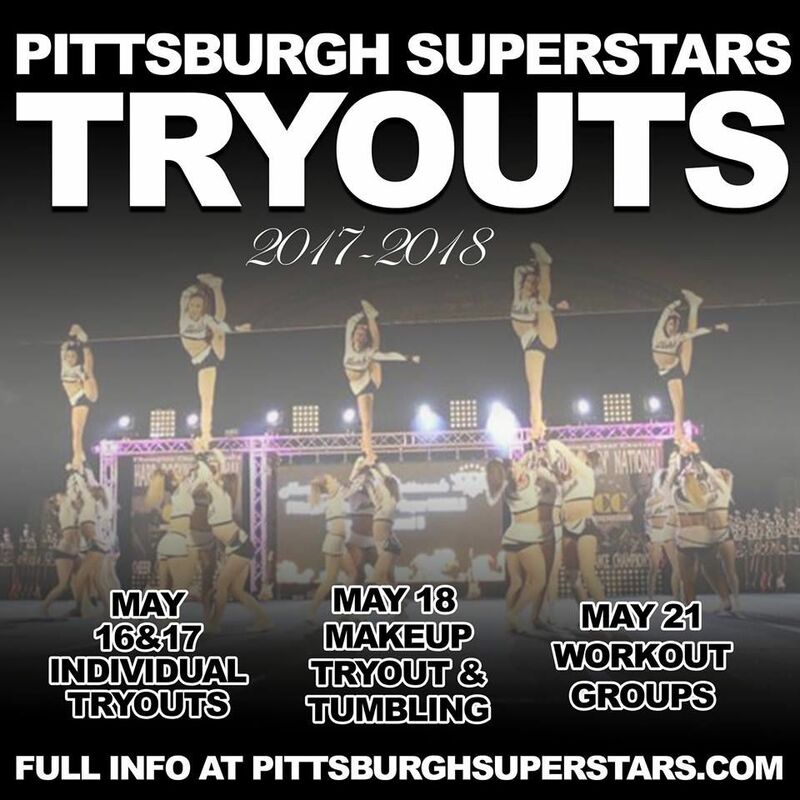 Join the Pittsburgh Superstars family! 1. Fill out the online registration form. 2. Print and fill out the 2018 - 2019 tryout registration form and turn it in to the office or mail it to Coach Aimee with your tryout registration payment. Pre register before April 15th to receive a discounted rate! 3. Read the 2018 - 2019 tryout packet to learn more about the tryout process and find which session to attend. There is a spot for EVERYONE at Pittsburgh Superstars! See you at tryouts! We cannot wait to have Dana in our gym full time! More information and an updated tumbling schedule to come! 4/14, 4/21, 5/5 & 5/12. No pre registration is required. Non members must bring a signed registration form. All are welcome! 02/03/2018 - Stunt with Supermodels! Join the Pittsburgh Superstars Supermodels Competitive Cheerleading team on Saturday, February 3rd at our gym in Cranberry Township from 12 p.m. - 3 p.m. for an afternoon full of stunting, dancing, and cheerleading fun! All are welcome to attend. Non members must bring a signed registration form. Cost is $20 per participant. Payment can be brought day of in form of cash or a check made out to PSSB. 100% of the proceeds from this fundraiser will benefit St. Jude Children’s Research Hospital! 2017-2018 HALF YEAR CHEER PROGRAM REGISTRATION! ONLINE REGISTRATION IS NOW CLOSED FOR THE 2017-2018 SEASON. More information on our half year team can be found under the 'Cranberry Gym' tab at the top of the page! Tryouts will be held Tuesday, September 26th. 7pm parent meeting, 7:30pm athlete tryout. So thankful to be able to team up with some other Pennsylvania gyms to give a small donation to Hurricane Harvey victims! Together we can all be #TexasStrong ❤️‬ Thank you so much for the donations Superstars!!!!! Check out and share the write up on Pittsburgh Superstars done by Cranberry Township! 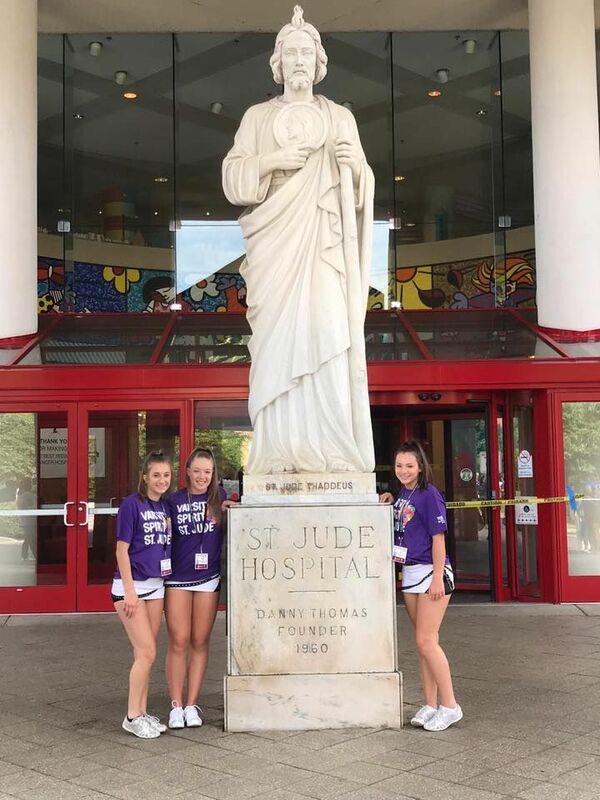 We are very grateful to have had the opportunity to send three of our Supermodels to Memphis, TN to check out the St. Jude Children’s Research Hospital they helped donate over $11,000 to last season. 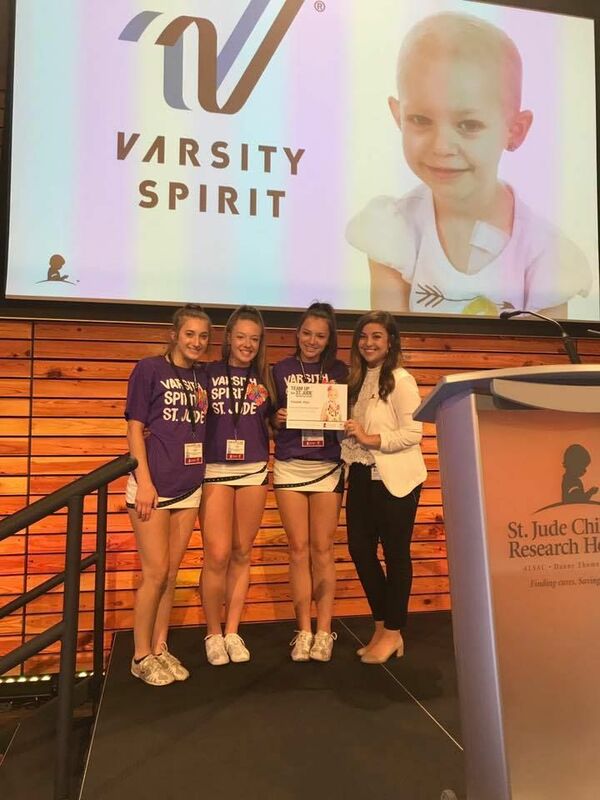 Kennedy, Aurora, and Kaylee visited with other top fundraising teams. During their visit, the girls toured the model apartments at Target House, which is apartment-style housing where families are assigned to stay if they are on campus for more than three months. They also toured the entire facility and visited with children during their time in Memphis. We are so thankful we are able to donate and help make a difference in children’s lives. None of this could be possible without Varsity All Star. Visit our social media channels for more photos and information about the girls’ journey to Memphis! Our hearts are so full at Pittsburgh Superstars! 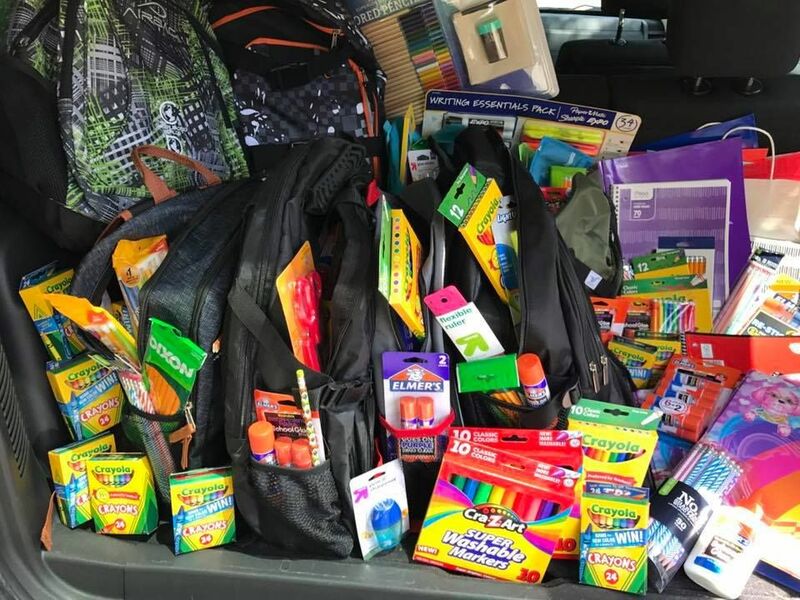 We would like to give a huge thank you to all of the families who donated to our annual back to school donation drive benefiting North Hills Community Outreach (NHCO). 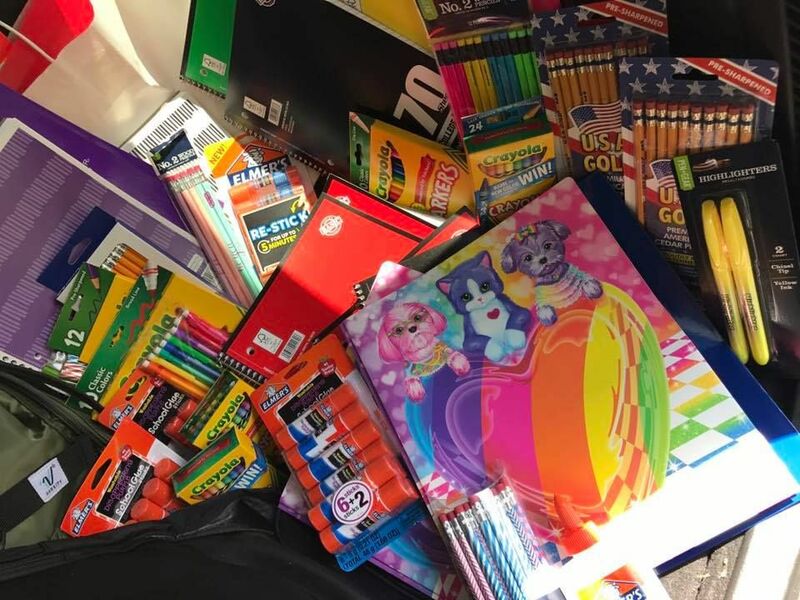 NHCO's back to school collection benefits hundreds of kindergarten through high school children in our surrounding area. Coach Kaylee has been a part of this collection program for many years now, which makes this donation very special to her. Her goal was for each athlete to bring in at least one item so we could donate over 100 items. 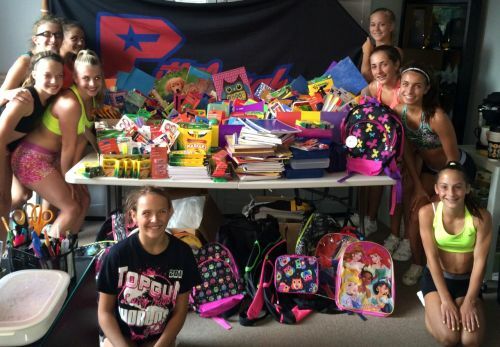 That goal was surpassed by the generous families at Pittsburgh Superstars, some who even stuffed full backpacks! 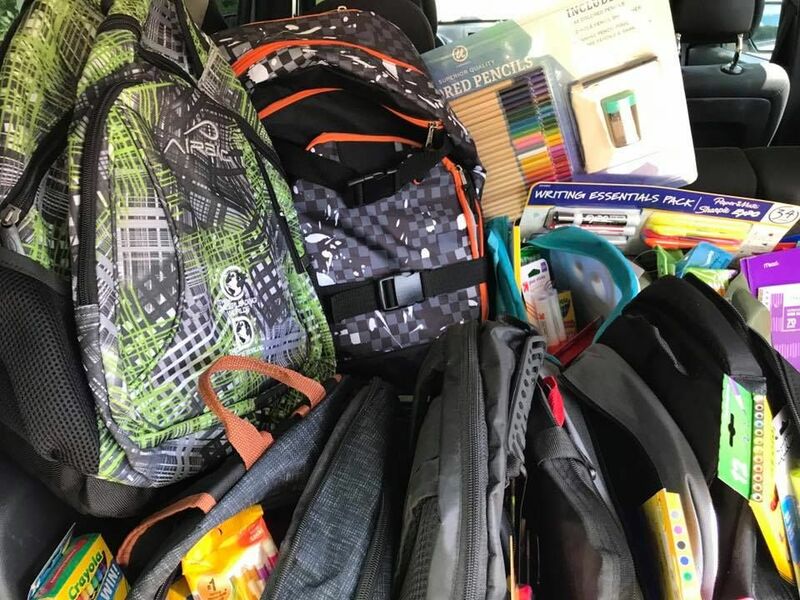 For more information on NHCO and their back to school collection drive, click here. Our next donation drive will be winter coats, starting in September! Online Registration : CLICK HERE! 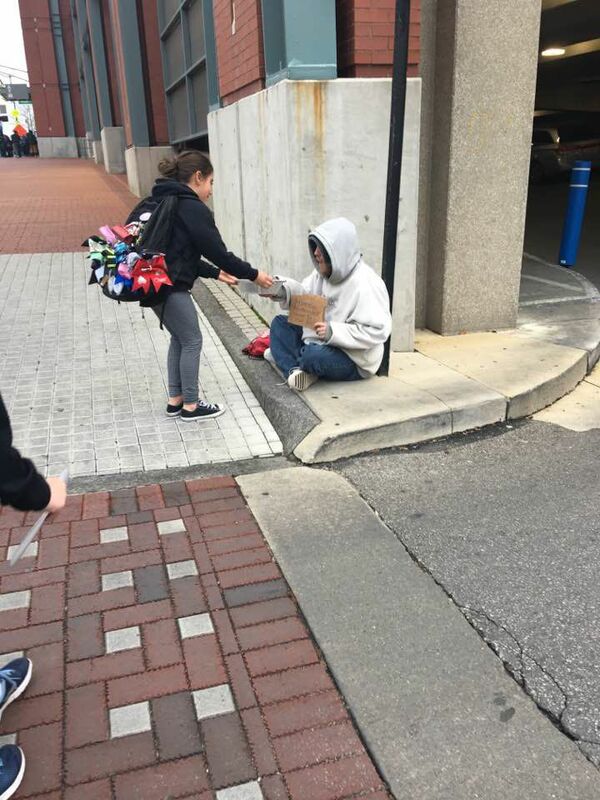 A HUGE shoutout to a few of our Youth 2 Glam Girls for feeding some of the homeless in Columbus, OH this past weekend. The girls asked their parents to give food away to the less fortunate. 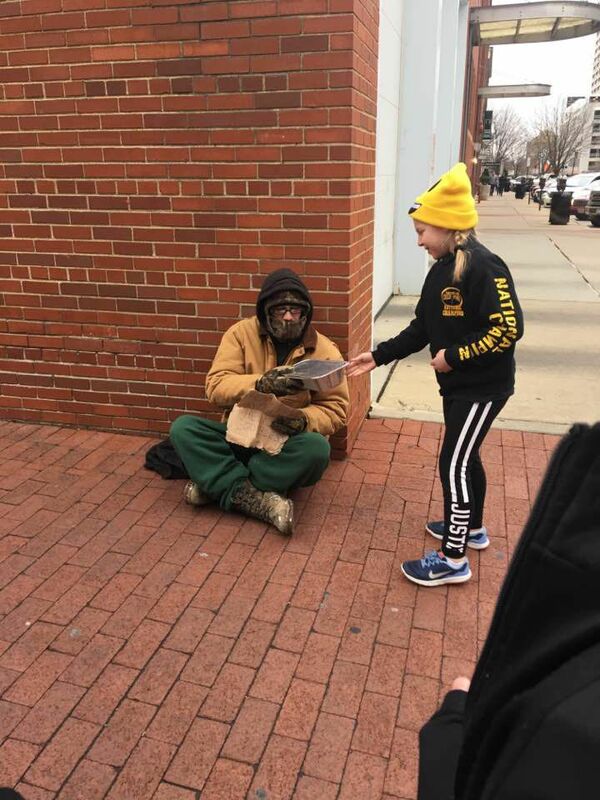 Things like this make you take a step back and realize helping others in times of need matter more than a trophy or jacket. So very proud of our Superstar Family! THANK YOU! We have raised over $11,000 for St. Jude!!! 11/07/2016 - Help Supermodels Raise Money for St. Jude! The Supermodels of Pittsburgh Superstars are honored to have been invited to be part of the St. Jude's event at Cheersport on Friday, February 17, 2017 in Atlanta! We will be competing against 5 other teams in the large division. This competition is a little different in that the winner in each division is based on fundraising and a Twitter contest instead of a score! We hope you will consider making a donation to not only help us with this prestigious event but most importantly to help support St. Jude's lifesaving mission of finding cures for children battling cancer and other life-threatening diseases, and we need your help to reach our fundraising goal. Help Supermodels help St. Jude continue the mission: Finding cures. Saving children. We are very proud of our own Supermodel, Jennah, who was selected for a second year as a Varsity Fashionista! Jennah will be modeling the latest varsity trends while attending photo shoots in New York City and Dallas. Congratulations! CONGRATULATIONS DIVAS & DUDES FOR PLACING TOP 5 FOR THE 4TH CONSECUTIVE YEAR IN A ROW AT THE SUMMIT! Watch videos of our senior 5 team, SUPERMODELS, compete at the 2016 cheerleading worlds! Supermodels were the first team of the entire competition to perform- and 1 OF 23 TEAMS TO HIT WITH ZERO DEDUCTIONS that day! Supermodels advanced to finals and finished 6th in the world! Great job Supermodels! 06/18/2015 - Congratulations college cheerleaders! 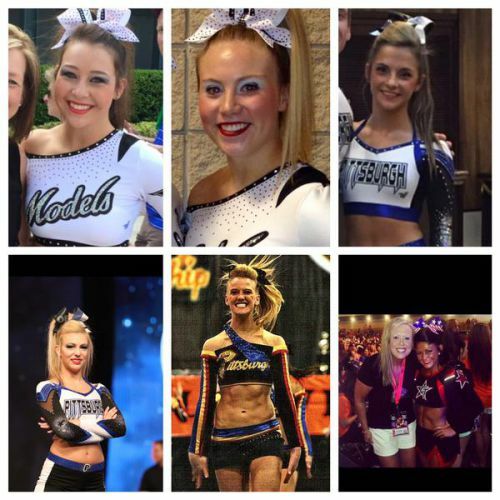 Congratulations to our Superstar Alum who are now collegiate cheerleaders! Youngstown State, Slippery rock, Davenport, Kentucky, & Louisville! AT SPIRIT OF HOPE NATIONALS! 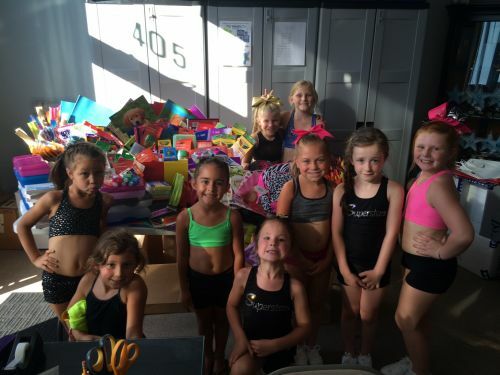 08/21/2014 - Pittsburgh Superstars is August Gym of the Month! 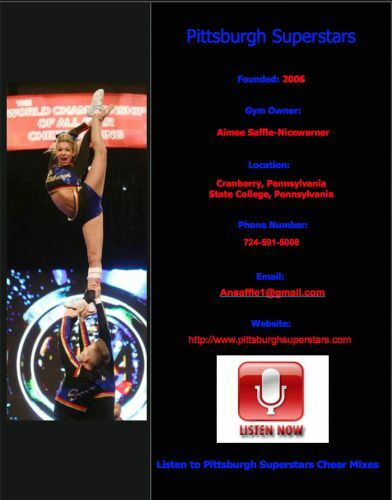 Pittsburgh Superstars was choosen as August Gym of the Month on Cheer1FM.com! Thank you Cheer1FM! 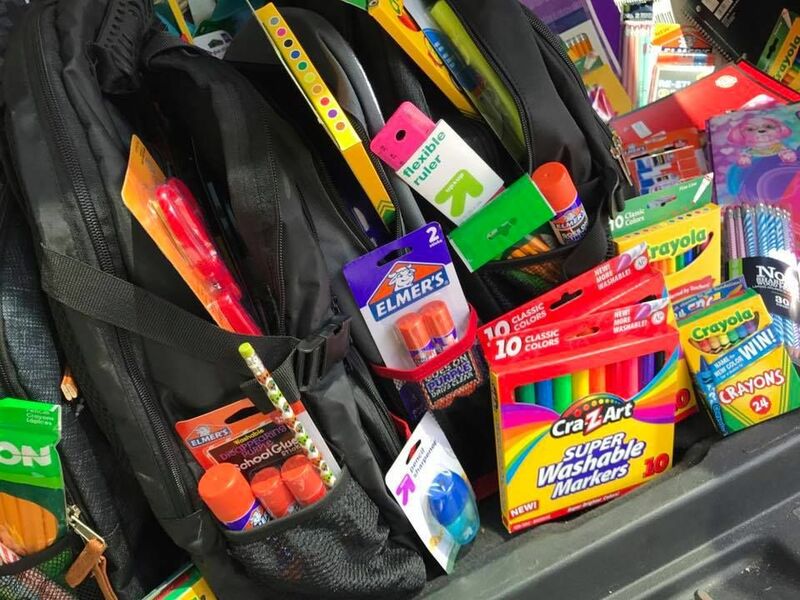 July 29th, 2014 marked the end of the first annual school supply donation drive held at Pittsburgh Superstars to help benefit the back to school program at the North Hills Community Outreach center. 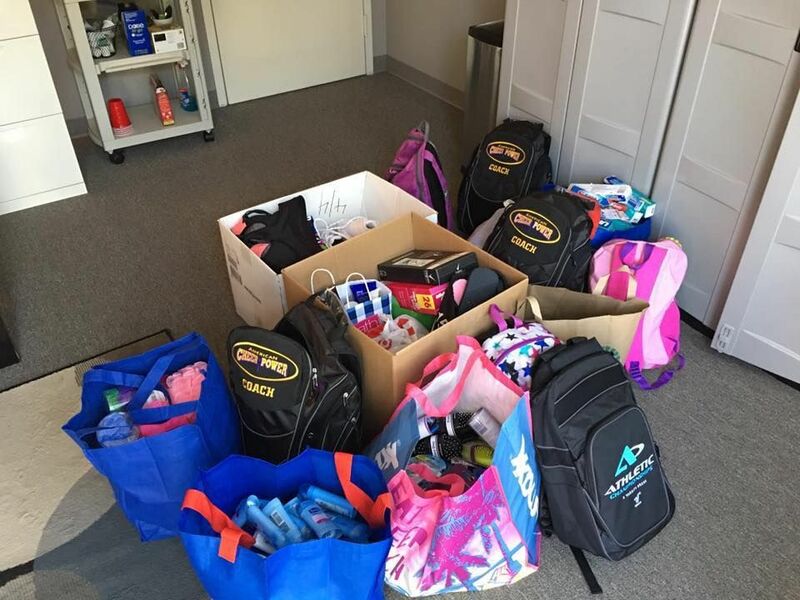 For two weeks, our athletes collected school supplys, backpacks, and lunch boxes to help donate to the program. Coach Kaylee Kenz has helped with this program in the past and was very excited to give the athletes at PSS a chance to do so as well. 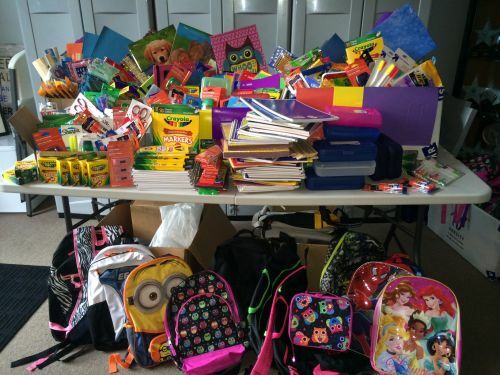 After two weeks of generous donations we collected over 800 items, including 56 backpacks and 126 portfolio folders. The North Hills Community Outreach was estatic with our generous donation as a program. We look forward to working with them more in the future. Awesome job SUPERSTARS! THANK YOU to Coach Victor and the staff from Top Gun All-Stars for another amazing tumbling camp! Pittsburgh Superstars is proud to announce that we took two teams to the 2014 Cheerleading Worlds and three teams to the 2014 Summit in Orlando, Florida. 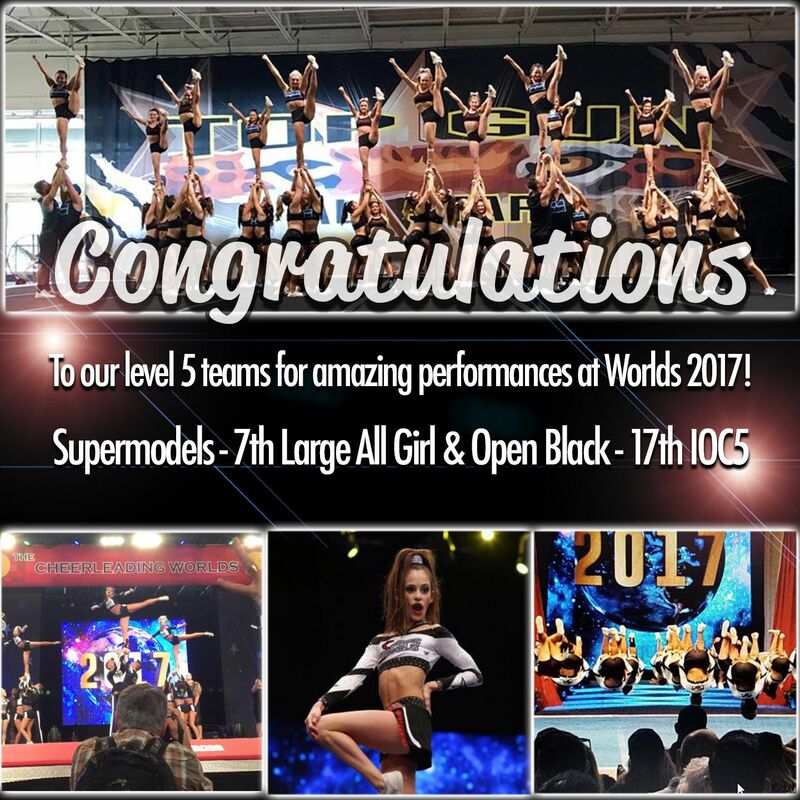 This will be the 8th year in a row for our senior team, the Supermodels, competing this year in the small senior level 5 division. Supermodels finished in 17th place in this very tough division. Congrats ladies! This will be the 5th year our International Open Coed Level 5 team, Open Black, has competed at the Cheerleading Worlds. Open Black advanced from the preliminary round to Semi-finals with the least deductions throughout the entire IOC5 division and was the only team with an at-large bid to advance to semi-finals. Open Black finished the preliminary round in 9th place. 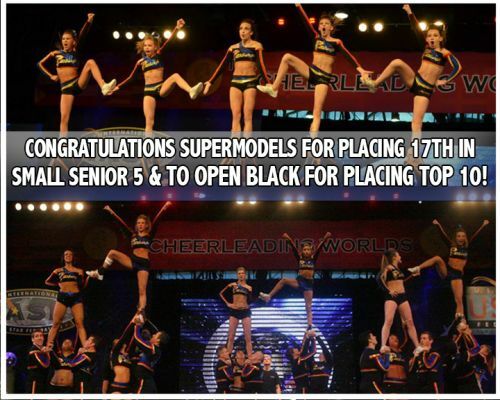 Way to go Open Black! We took three teams, Large Junior 2, Small Junior 3, and Large Senior 4, to The Summit in Orlando Florida. Junior 2 and Senior 4 advanced to finals and took home a second place finish for our Junior team and a fifth place finish for our Senior team. Our Small Junior 3 team hit a perfect routine in the preliminary round in a division with the top 19 teams ending day one with zero deductions. We are very proud of all of our athletes and to say once again we have two teams finish top 5 for two years in a row at The Summit. You can watch our Large Senior 4 team in finals on ESPN.COM! Scroll to the time 3:55:54 to watch the Divas claim their top 5 spot for the second year in a row. for reaching the top spot for The Spirit Industry, TM Top Ten Countdown #1 Cheer Song on CheerXm1.com! Congratulations, Coach Becky Troppman and Coach Melanie Miller for receiving the Pittsburgh Advocacy and Awareness Award for their work with the Shining Stars. This award is being presented at the Annual Community Heroes Awards Dinner on Wednesday, October 19, 2011 at the Westin Convention Center Pittsburgh, hosted by Andrew Stockey of WTAE Channel 4. The Advocacy and Awareness Award is given to organizations and individuals who promote the abilities of people with special needs. Becky and Mel were nominated last season for this special award from the Shining Stars families. 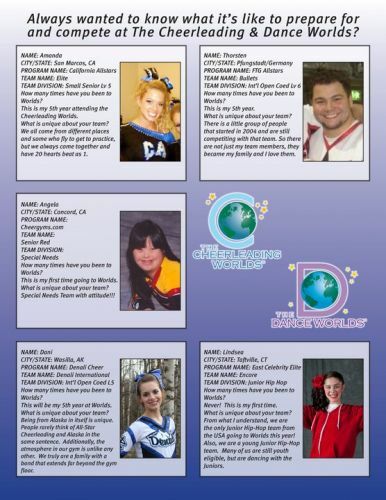 For the first time ever, USASF followed a few athletes on their journey to Worlds. We are proud that our very own Superstar, Natalie Cunningham, was one of those athletes! You can see Natalie's story below and watch Natalie on her Road to Worlds. Pittsburgh Superstars Shining Stars was one of 5 Special-Needs Cheerleading teams featured in an article recently published in the Pittsburgh Tribune-Review. Below are excerpts from the story. You can read the complete article at http://www.pittsburghlive.com/x/pittsburghtrib/news/pittsburgh/s_725226.html. Pictured in the photo is Chloe Wiseman. Born 10 years ago at a gym in Lexington, Ky., special-needs cheerleading has spread across the nation. Our very own Shining Stars are one of five special needs teams in this area. 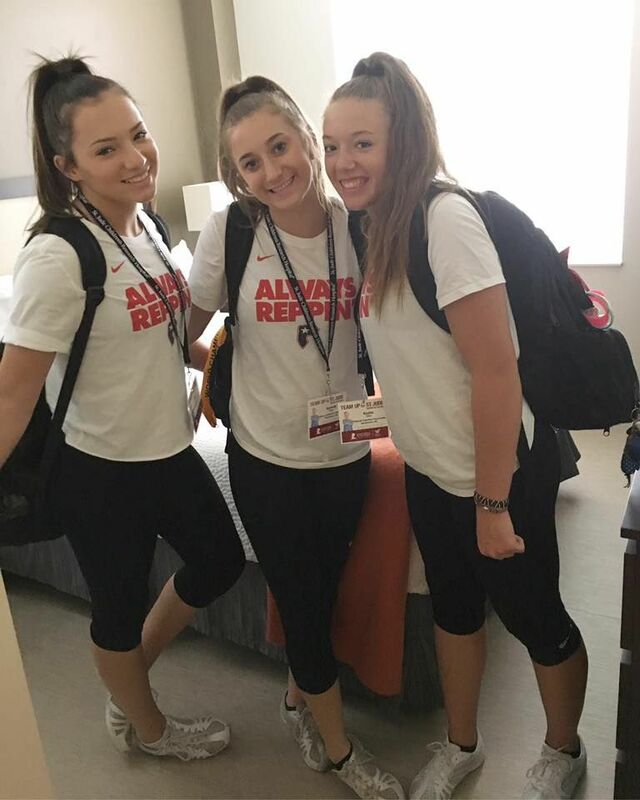 Teams fall under the jurisdiction of the U.S. All-Star Federation, which oversees cheerleading teams not affiliated with schools or athletic associations.Children as young as 4 participate, as do adults. Nearly 40 people compete on special-needs teams in the Pittsburgh area. With assistance, many tumble and perform typical cheerleading routines. Special-needs cheerleaders generally do not receive scores at events. Judges provide comments critiquing their performances. Routines include cartwheels, jumps and pyramids performed to music. 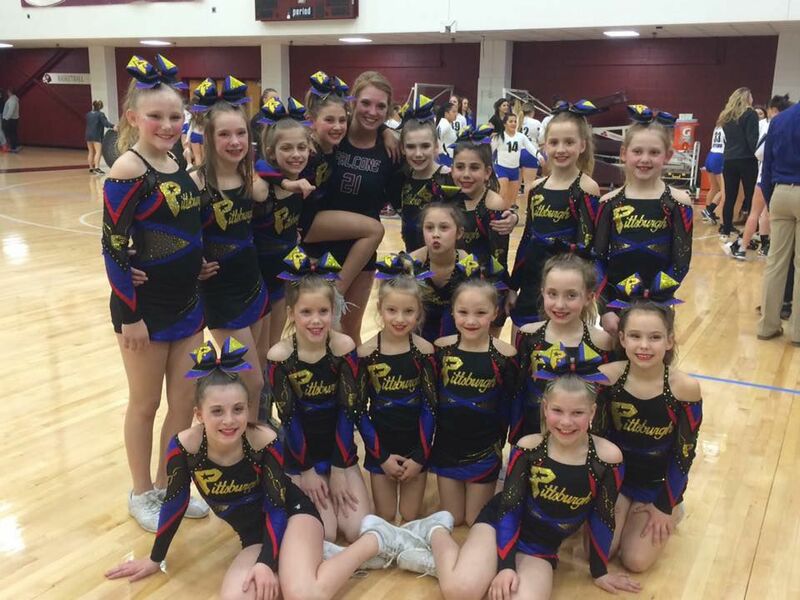 "Special-needs cheerleaders amaze me all the time," said Pittsburgh Superstars Shining Stars Coach Becky Troppman. Special-needs cheerleaders who are not able to tumble or fly find other ways to perform. Members enjoy the social interaction provided by special-needs teams, who train in gyms with non-special needs cheerleaders. 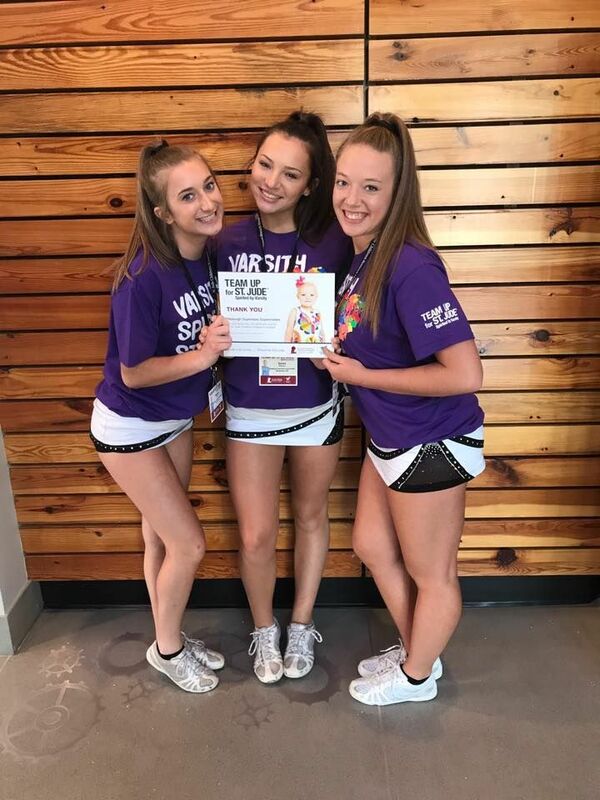 Bill Presson, vice chair of the special-needs committee of the U.S. All-Star Federation, said 300 gyms sponsor special-needs cheerleading teams nationwide. Many are in the Southeast, where cheerleading as a whole is very popular. Presson helped develop special-needs cheerleading as coach of the Kentucky Elite cheerleading team in 2001. He is surprised by its growth during the past decade. "I thought it would be like the Special Olympics, where you hold it for about a week and then it's over," he said. "It's become more of a year-round thing." 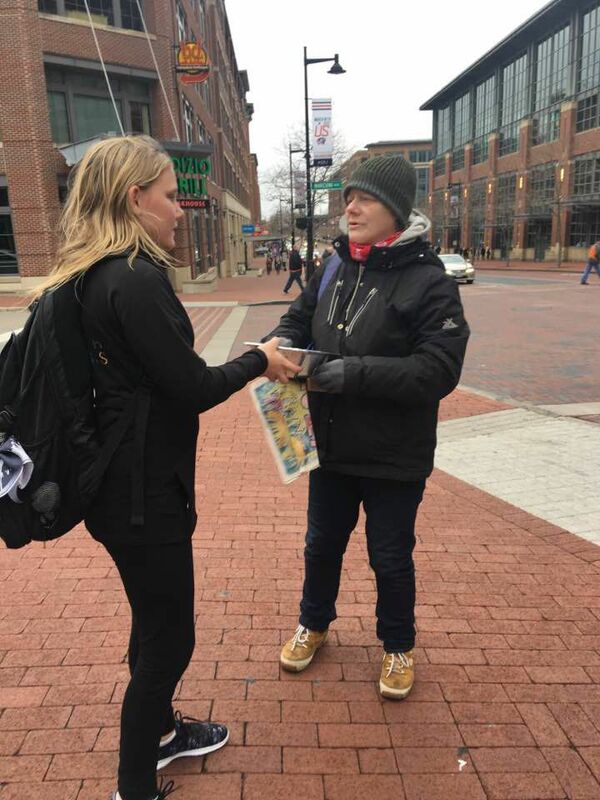 Presson of Birmingham, Ala., said the concept started in routine fashion. "A parent attending a meeting (of the Kentucky Elite) brought it up and thought it would be a good idea," Presson said. "We introduced it. 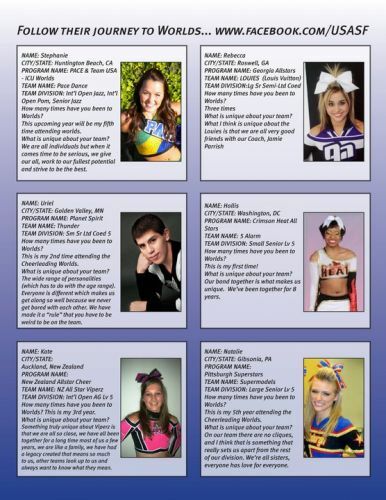 It became really popular after a lot of people saw it at Cheersport (Nationals) in 2002." Cheersport plays host to the world's largest national cheer and dance championships. According to Presson, 21 special-needs teams -- the most ever -- competed at this year's championships Feb. 18-20 in Atlanta. More than 900 teams competed overall. Pittsburgh area special-needs teams mostly perform locally. In 2009, Pittsburgh Superstars was the first gym in Pennsylvania to have three cheer teams qualify and participate in the USASF Worlds Cheerleading and Dance competition! We are very proud to have repeated the accomplishment of taking 3 teams again this year to the 2010 competition. Our two cheer teams finished in the top ten in their divisions and our dance team finished in the top 20.
who is featured on the cover of the February edition of American Cheerleader Magazine! Johnna is a cheerleader on our International Open Coed Team and also cheers for West Virginia University. We're very proud of you, Johnna! 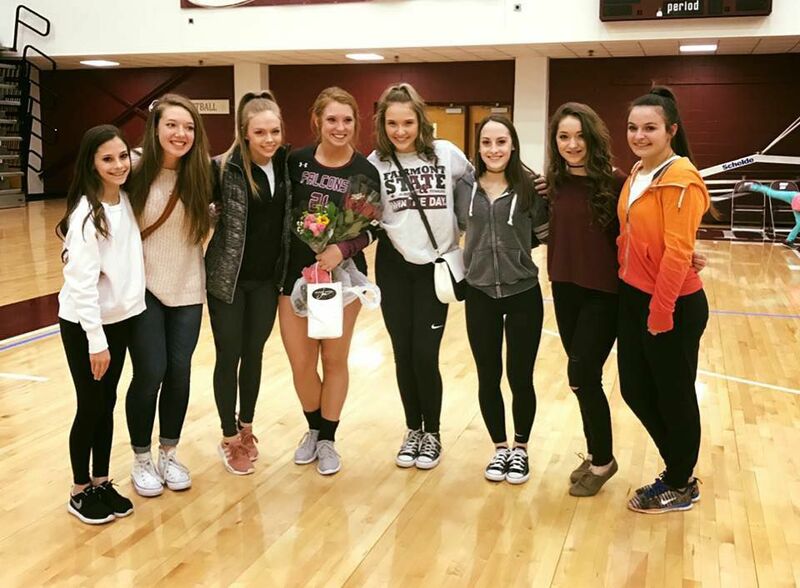 "Although the WVU team doesn’t compete, Johnna was able to satisfy that side of her by joining the Pittsburgh Superstars Open team, which lead her to attend The Cheerleading Worlds for the first time in 2009, where her team placed seventh. “I love being back in the gym and preparing for competition. I guess I’ll never get rid of my competitive nature,” she says." " AC: How and when did you get involved with Pittsburgh Superstars’ Open team? 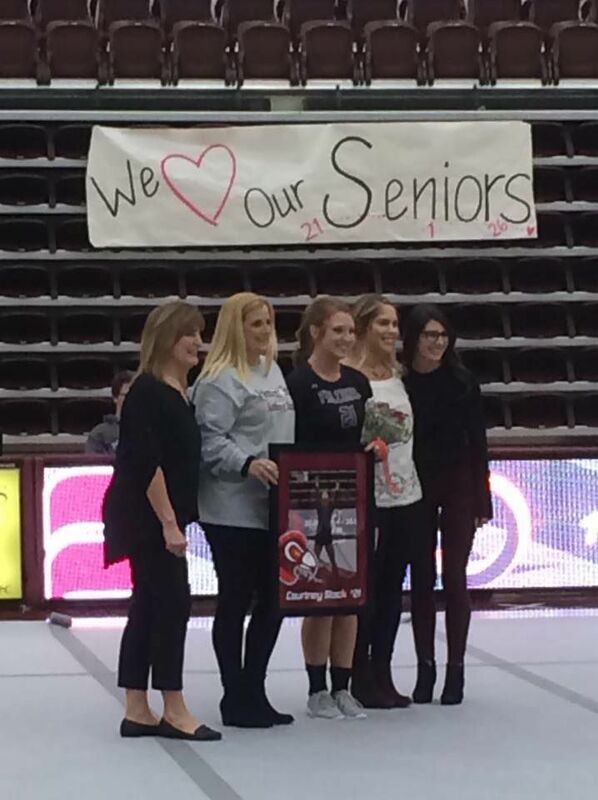 Johnna: When I knew I was moving back to my hometown, I also knew that I wanted to continue competitive cheerleading. Some of my old cheerleading friends told me about Pittsburgh’s Open team and it sounded perfect. I returned from Hawaii in July 2008 and went to my first Pittsburgh All-Star practice the first week I was back on the mainland. I love cheering on the Open team because I get to train with so many experienced and talented cheerleaders. We have cheerleaders from four universities on our team. I also love being the oldest team at the gym, because the younger athletes look up to us, which is a great feeling." You can read the entire article here. Click on the Photos tab to the left for more great pictures of Johnna. Two out of the three teams finished in the top ten of their divisions. Congratulations to all athletes and families for a perfect season!